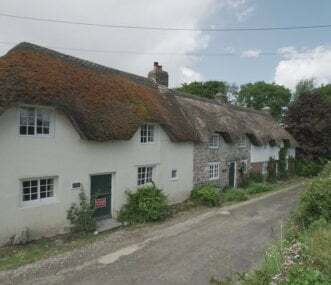 Dorset combines rolling hills and chalk downlands with the stunning and award winning Jurassic Coast. England’s very first Natural Heritage Site, and considered to be one of the wonders of the natural world. Most of Dorset’s county has been designated as an Area of Outstanding Natural Beauty, with countless sandy beaches and clifftop walks. Explore the regions' beautiful market towns and villages, such as Bournemouth, Bridport, Lyme Regis, Poole, Swanage, and Weymouth. 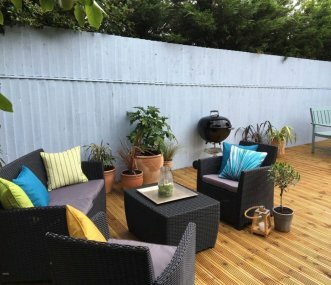 We have an extensive portfolio of large holiday houses in Dorset, ranging from budget self-catering cottages to luxury party houses with an indoor pool. 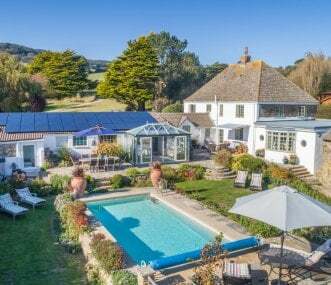 Your own piece of Dorset: a farmhouse holiday let with indoor pool/stables/Aga in idyllic rural location. The well appointed and modern farmhouse sleeps up to 12. Weekly/short break lets. Situated among the rolling hills of this World Heritage Site, 100m from the beach and nestled under Golden Cap sits Glenacres - 5* Gold, 5 bedrooms, heated outside pool, extensive gardens. Sleeps 12.